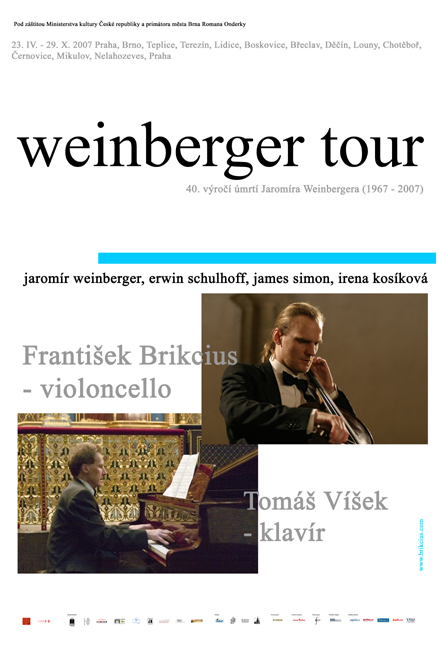 http://www.Brikcius.com - Frantisek Brikcius: Czech Cellist - Project "Weinberger Tour"
The Czech, later American composer Jaromír Weinberger (January 8th, 1896 – August 8th, 1967) was born in Jewish family in Prague, where he lived until 1937. 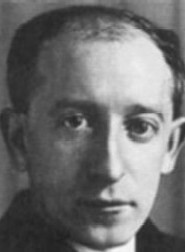 He was one of the first Czech film music composers (Na růžích ustláno - 1934). 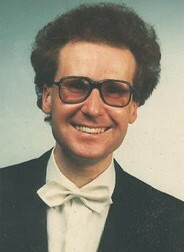 He studied at the Conservatories in Prague (K. Hoffmeister) and in Leipzig. He studied with M. Reger and assumed into his own technique. In 1939, after extensive travels to the United States, Bratislava, Vienna and Paris, he fled his native country to escape the Nazis (he was of Jewish origin) and settled in N. Y. State, teaching there and in Ohio. He became an American citizen in 1948. During the 1950s, Weinberger moved to St. Petersburg, Florida. In later life, he developed cancer of the brain, and this, together with money worries and the neglect of his music, prompted him to take a lethal drug overdose. Weinberger composed over 100 works; the best known is the opera Švanda dudák (Švanda Bagpiper), a world-wide success after its première in 1927 (Vienna - 1930, Metropolitan Opera New York - 1931, Covent Garden London - 1934, State Opera Berlin, …). This year we are reminding 40 years since his tragically death. 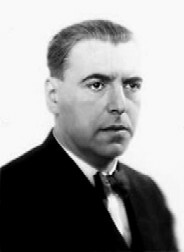 Erwin Schulhoff (June 8th 1894 - August l8th 1942) came from Prague Jewish-German family. He started his musical studies at the Prague Conservatory of Music, continued them in Vienna and Leipzig (where his composition teacher was Max Reger) and completed them successfully in Cologne. The promising start of his career as a composer and pianist was interrupted by the outbreak of the 1WW, a time that he spent as a soldier on the eastern front. This experience completely changed his vision of the world and of the art. As the great pianist, he performed contemporary compositions in many prestigious music festivals in Europe. As the composer he produced many works written for piano, chamber music and for orchestra (at the time his death he was sketching his 7th and 8th Symphony). Following the tragic events of the 1938-39 period he was considering the possibility of settling down in the Soviet Union (he even obtained Soviet citizenship), but he could not make it. After the attack of Germans on the Soviet Union, he was arrested and imprisoned first in Prague and later in the Wulzburg camp, where he died of tuberculosis after about a one-year of imprisonment. Czech organist and composer Irena Kosíková was born in Prague into the intellectual family of the prohibited philosopher Karel Kosík and literarary scientist Růžena Grebeníčková, the Herder prize laureate. She began her organ studies with Prof. Jan Hora, together with piano lessons given by Prof. Eliška Kleinová and Prof. Arnoštka Grünfeldová. 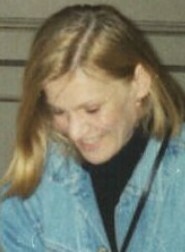 Irena Kosíková studied organ performance (Prof. Jaroslava Potměšilová) and conducting (with Prof. Karel Fiala) at Ježek's Conservatory. She was refused to further her studies for political reasons. She took private composition lessons with Prof. Miroslav Raichl. Finally after the Velvet Revolution she was accepted at the Janáček Academy of Music (JAMU) in Brno into the organ class of Prof. Alena Veselá and Prof. Kamila Klugarová. She graduated at the Academy of Music (HAMU) in Prague, under the guidance of Prof. Josef Popelka. Irena Kosíková now gives organ concerts and is also intensively composing. Her works have been performed in the Czech Republic, Bosnia and Herzegovina, Belgium, Bulgaria, Germany, Israel, Poland, Russia, Turkey, Sweden and the United Kingdom. As an organist she specialises in the interpretation of organ works written by Johann Sebastian Bach: including performances of the complete Organ Toccatas, Voluntaries, Leipzig Chorals, The Art of Fugue, Organ Mass. More information is available on http://www.iKosik.com . 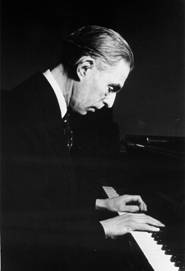 Czech pianist Tomáš Víšek (1957) started to play the piano at eight years of age at the musical school under professor Pavel Svoboda. During the years of 1972-1976 studied at the Prague Conservatory under professor Valentina Kamenikova and then later under professor Zdeněk Kozina. During the years of 1976-1984 studied at AMU (Academy of Arts) in Prague at first under professor Josef Páleníček and then under professor Zdeněk Jílek with whom he continued post-graduate studies in the years of 1990-1993. During his studies he became a many-time laureate in domestic competitions (Ústi nad Labem, Hradec Králové, Mariánské Lázně). In international events he acquired awards in Chopin competition in Warsaw, 1975 (Janina Nawrocka special prize), Smetana competition in Hradec Kralove, 1978 (IInd prize plus an award for Smetana interpretation). During the nineties this success was followed by the Second Prize that he won in international competitions in Vienna (1992) and in Sicilian Ragusa (1994), and in 1995 he won the Fifth Prize in the Concours Milosz Magin in Paris. He performed in the Czech Republic, Slovakia, Poland, Egypt, Japan, Hungary, Russia, Bulgaria, Slovenia, Germany, France, Holland, Italy, Switzerland and Austria (he repeatedly gave performances in the Vienna Musikverein, as soloist in the Grieg's Piano Concerto). Radio France arranged a separate recital for him. Visek recorded also for Czech and Polish Radio, Czech television (the cycle "Top of Classics") and on CD records. His piano recital in international festival Prague Spring in May 1997 was highly responded, as well as his performances there in 2002, 2003 and 2005); other successes - the unique festival "Music of extended duration" on Prague Castle (work of J. Cage) and the festival "Musica Iudaica" with the work of Jewish composers (Gershwin, Mendelssohn-Bartholdy, E.|W. Korngold, etc.) in 1997, several times performance of Gershwin's Rhapsody in Blue with orch. in the Dvorak Hall of Prague Rudolfinum in 1998, St. Wenceslas Festival in 2003 etc. Interview with Tomáš Víšek - Czech Music 2/98: "Víšek is an explosive type of an artist who is always fully absorbed in the play. It is almost with an obsession and devilish attitude he is enjoying every twist turn in the plot of the play with the unique touch he moves it into convincing levels with deep absorption. He is unveiling various secret of the manuscript and he has proved to keep the audience in suspense for a longduration." Hudební rozhledy (music magazine). More details can be found on http://www.TomasVisek.cz .